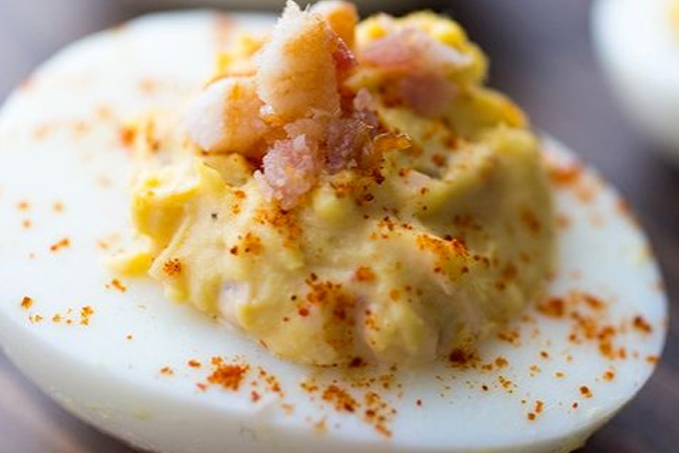 I always have a misconception about deviled eggs. In my mind, they often seem like a fancy, difficult to make snack only meant for special occasions. But in reality, they can be exceptionally simple to make and an awesome protein and nutrient-rich snack or meal for everyday life! 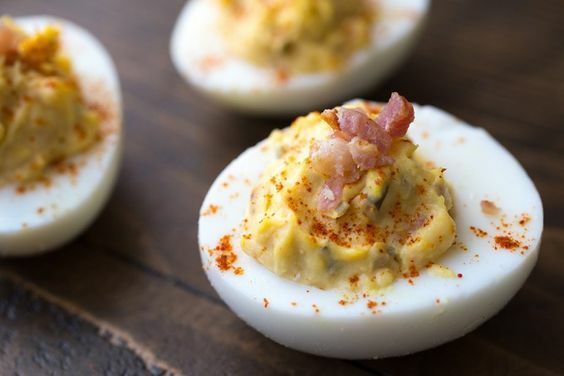 These Chipotle Bacon Deviled Eggs are no exception. 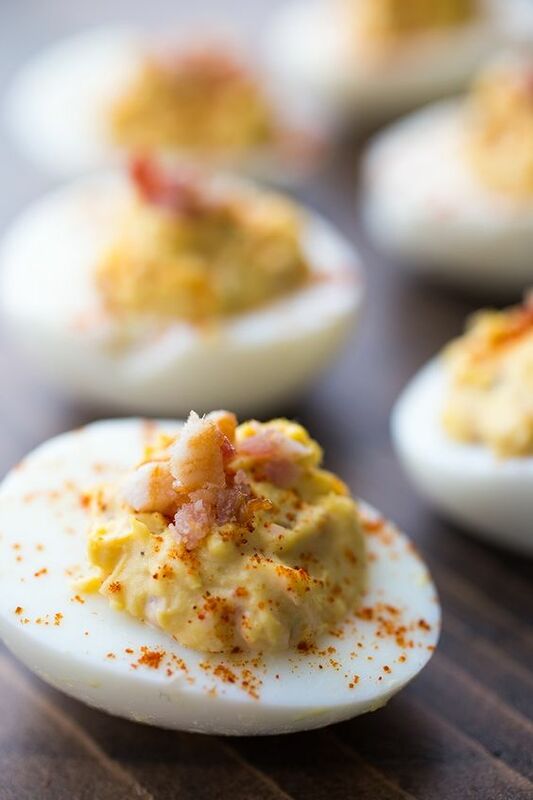 They are made with only 3 ingredients (okay, fine, 4 if you count the Paprika garnish) and are insanely delicious. 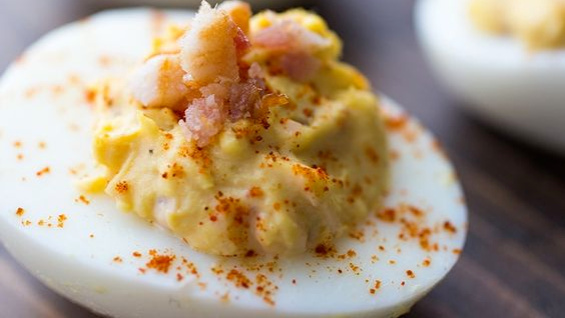 The best part about deviled eggs is that you can make them your own. Not a huge fan of Chipotle? Use regular mayonnaise instead. Do you enjoy fresh herbs like parsley and dill? Add ’em! I’ve used Primal Blueprint’s new Chipotle Lime Mayo for this recipe, which is coming soon, but you can easily recreate this by adding 1 tablespoon of lime juice and 1 tablespoon of chipotle seasoning to plain mayo. Place eggs carefully in a pot and cover with filtered water. Place on medium high heat and wait until the water boils. Once it boils, count to 60 seconds and then remove pot from heat, cover and set a timer for 10 minutes. While you're waiting, prepare a large bowl with ice cubes and fill with water. Once the 10 minute timer is up, scoop eggs out of the pot and place into the bowl with ice water to cool. Once they are cool, peel all of the eggs carefully and slice length-wise. Being sure not to disrupt the egg whites, carefully remove the yolks and place into a large mixing bowl. With a fork, break up the egg yolks until they are the texture of a moist powder. Add most of the diced bacon (save some for garnish) and mayonnaise and mix well to combine. Once fully combined, scoop about 2 teaspoons of egg yolk mixture back into the eggs. If you have a piping bag and want your eggs to look super fancy, feel free to use it, but it isn't necessary. Once all the eggs are full, add the remaining diced bacon as a garnish plus a bit of paprika. Eat right away or store in the fridge.